Recently Had Your Fort Worth, TX Home, Car, or Office Broken Into? Nothing can be more frightening or shocking than being a victim of theft and burglary. Burglaries occur every 15 seconds, but you never thought this would happen to you. Your physical and emotional state are important, so the last thing you may be thinking about is burglary damage repair. Fear not. With a wide variety of services to help keep you safe and sound for the foreseeable future, Fort Worth Locksmith Pros has got you covered. Fort Worth Locksmith Pros is an expert local Fort Worth locksmith company offering fast and friendly services in Fort Worth, TX and surrounding areas during those crucial moments when you need us the most. Our highly trained experts and technicians are ready to assist in alleviating your worries and frustrations after a break-in. Well-rounded, we continue to provide a satisfying and complete locksmith service to our residential, automotive, and commercial customers in their times of need. Coming home to the aftermath of a burglary can be jarring. Your home is your sanctuary, and you need to respond quickly to restore the privacy and safety of your residence. We pride ourselves on an expedited 30 min response time for all of our services. There when you need us, our dependable expert technicians are on call for convenient 24-hr Fort Worth locksmith service. We’ll send over a residential locksmith in a jiffy to get those locks changed or rekeyed and get you back to feeling safe and secure. Need an upgrade in security? While onsite, our locksmiths are knowledgeable, armed with 5+ years’ experience in sorting out these dilemmas. We can help set your mind at ease by explaining what we’re doing and how this will help you in terms of safety and security. We also provide up front pricing with our burglary damage repair services. Why dance around the subject of cost when you can just be honest? Our locksmiths provide an array of services including lock rekey, replacing damaged locks or door knobs, and even installing deadbolts. When it comes to burglary damage repair, our locksmith services have you and your family’s safety in mind. Our complete locksmith services don’t stop at the residential level. Our agents are standing by 24/7 to receive requests for burglary damage services after an office break-in. Disgruntled former employees leaving you paranoid? Our expert locksmiths will have your property rekeyed and/or your locks changed in no time for a safe working environment. Wanting to up your security level? We can handle it. Our mobile locksmiths can install Grade 1 locks on top of any electronic or high tech safety device. Contact us today to cater to your business’ security needs! For every emergency lock situation, we have a solution. Frustrating lockouts or lost keys can be debilitating, leaving you stranded and defenseless. With Fort Worth Locksmith Pros, we guarantee a hasty arrival within 30 minutes to get you back into your car. Did someone steal your car keys? Our mobile locksmiths have you covered. Our auto locksmiths will rekey your car and produce new keys while you wait. If a car break-in resulted in broken car door/trunk locks and a damaged ignition switch, our auto locksmiths excel in lock replacement and repairing/replacing car ignition switches. So why consider us? At our company, we never settle for less. With our quality services, we guarantee the best possible experience for Fort Worth, TX and surrounding areas. Our licensed, bonded, and insured technicians are on call and provide an invaluable 24/7 locksmith service. 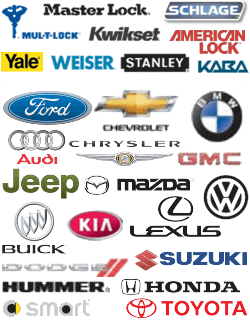 Moreover, all of our services have up front pricing so that you always know the price associated with your lock repair or upgrade. We won’t dance around the subject. There are no gimmicks here, and you’ll never be disappointed when you choose our local, honest company for your burglary damage repair. Your time is valuable. Don’t waste it on sub par services. 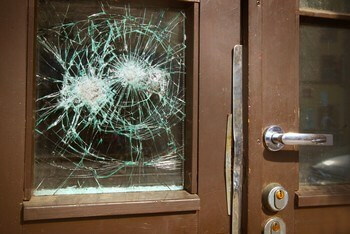 Fort Worth Locksmith Pros is your one-stop shop for burglary damage repair and prevention. 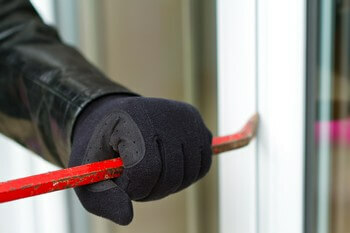 24/7 Burglary Damage Repair Services http://locksmithftworthtx.com/burglary-damage-repair/ 4.2/5 based upon 8 reviews.